The majority of senior leaders receive little to no professional development each year. Yet, it is their skills, behaviors, and decisions that will ultimately make or break the company. How many of the following challenges do you face? If one or more of the challenges rings true and you believe you can improve, then you may find value in expert strategic coaching. 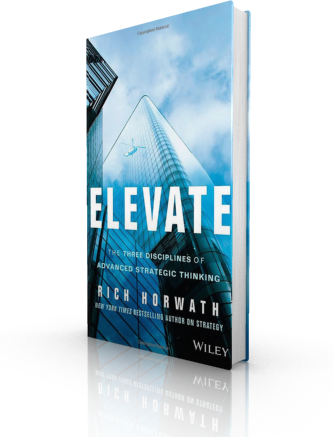 As CEO of the Strategic Thinking Institute, a former chief strategy officer, and professor of strategy, Rich brings the unique combination of real-world strategy experience and the expertise of a New York Times & Wall Street Journal bestselling author on strategy into your corner. 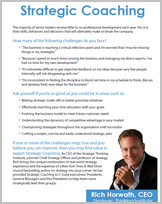 He has provided business and executive coaching to C-Suite executives, presidents, general managers, and vice presidents to help them more strategically lead their groups. Enables you to confidently set strategic direction and minimize risk because you have the opportunity to discuss a range of strategic options with a strategy expert prior to decisions. Gives you a safe harbor to “think out loud” without having to carefully edit each thought as you do when speaking to colleagues within your organization. Provides a wealth of developmental tools and activities to build your strategic capabilities. Allows for honest, objective feedback because Rich has no internal political agenda. 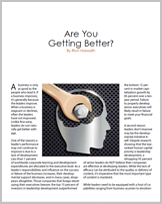 New source of strategic insights to help you achieve your business goals. Understanding your unique needs and goals. Open and honest conversations about your key business issues. Enhancing your strategic capabilities through insight exchanges, business updates, plan reviews, and applicable strategy exercises. Transforming the insights gained through dialogue and development into confident strategic direction for you and your business. Great leaders including Steve Jobs (Apple), Alan Mulally (Ford), Eric Schmidt (Google), and Jack Welch (GE) all worked with an external coach/advisor. 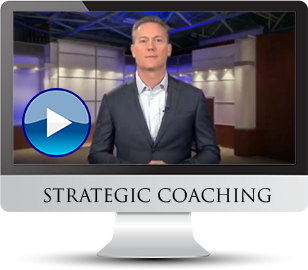 Strategic Coaching engagements are structured in quarterly blocks.